Financial Accounting Standards Board (FASB) is a private, non-profit organization standard setting body whose primary purpose is to establish and improve generally accepted accounting principles (GAAP) within the United States in the public's interest. The Securities and Exchange Commission (SEC) designated the FASB as the organization responsible for setting accounting standards for public companies in the U.S.
Deloitte Touche Tohmatsu Limited, commonly referred to as Deloitte, is a UK-incorporated multinational professional services network. Deloitte is one of the "Big Four" accounting organizations. Deloitte provides audit, tax, consulting, enterprise risk and financial advisory services globally. 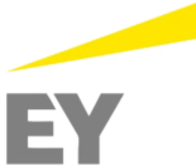 EY (formerly Ernst & Young) is a multinational professional services firm headquartered in London, England. EY is one of the largest professional services firms in the world and is one of the "Big Four" accounting firms. EY operates as a network of member firms which are separate legal entities in individual countries. It provides assurance (including financial audit), tax, consulting and advisory services to companies. KPMG is a professional service company and one of the Big Four auditors. Seated in Amstelveen, the Netherlands. KPMG has three lines of services: financial audit, tax, and advisory. Its tax and advisory services are further divided into various service groups. 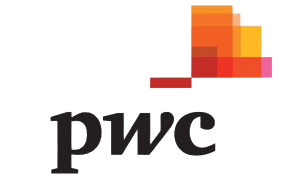 PricewaterhouseCoopers (PwC) is a multinational professional services network headquartered in London, United Kingdom. It is the second largest professional services firm in the world, and is one of the Big Four auditors.